Folding bikes have always billed themselves as a great option for urban commuters, allowing cyclists to more easily carry their bikes with them wherever they go and store them in a small space while at home and the office. Unfortunately, while folding bikes may have brought a great deal of convenience to the table, they haven’t always delivered in terms offering a great riding experience. But a new model called the Fiiz is looking to change that, providing a more traditional ride in a bike that still folds down to a surprisingly small size. Designed by Kruschhausen, a German startup dedicated to creating the best folding bike possible, the Fiiz brings a lot of intriguing options to the table. 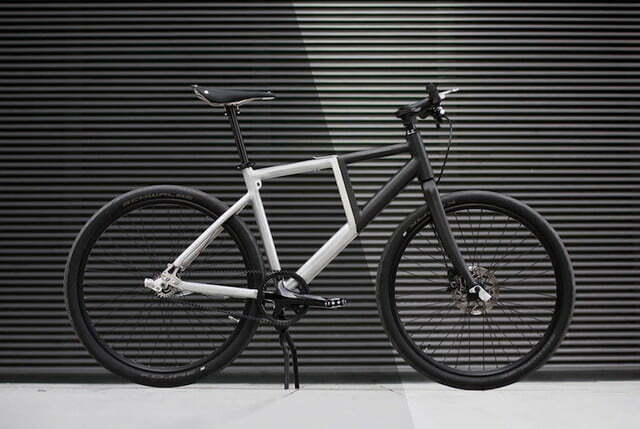 For instance, it features a quick release latch integrated onto the top bar which activates its folding mechanism, allowing the bike to literally fold in half. When broken down, the bike is only 3.3 feet in length and 2.4 feet tall. That makes it easy to toss into the trunk of a car or carry with you on public transportation. But what separates the Fiiz from most other folding bikes is that when it is in its regular riding mode, it looks just like a traditional urban commuter model, complete with diamond frame and regular proportions. In fact, unless someone told you that it was a folding bike, there is virtually no way of spotting its true nature just from looking at it. This is different from most competing models, which often have skewed geometry or strange proportions.